Hiring? Toptal handpicks top design leads to suit your needs. Product designers fully appreciate the role that empathy plays in their work. It is a valuable resource when distinguishing and learning about what people need (or want) in order for the team to design a product that provides a solution. And there is an abundance of methods in the designer’s toolbox—from face-to-face interviews to empathy maps to personas. Traditionally, empathy has been heavily concentrated on the user. Inarguably, the relationship between a product and the user is important, but what about the people working together to create that product? As the designer’s relationship with the client evolves from providing a service to an integrated partnership, how can designers use empathy to strengthen the bond? 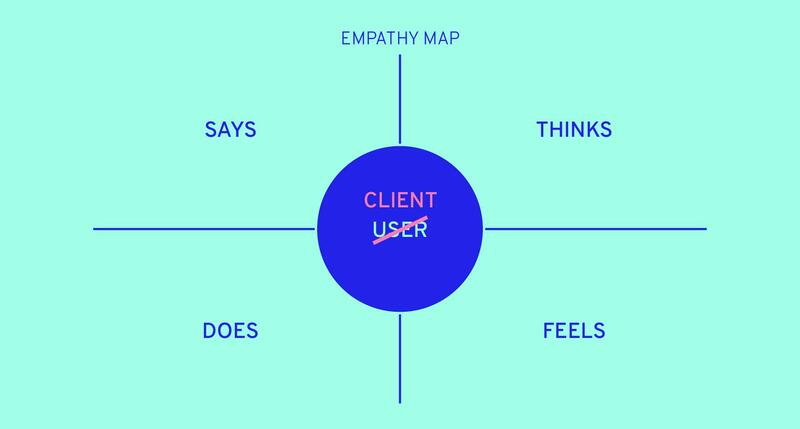 The design thinking process includes techniques for establishing empathy with a client, including empathy maps. After years of working with an empathetic approach toward the end user, I began to use the same methods in interactions with clients. It was an easy transition into client empathy and it worked phenomenally well. They began to feel safe and comfortable enough to ask questions and contribute in ways I hadn’t experienced previously. Processes were streamlined and delivery was surprisingly speedy. Miscommunication was avoided and accuracy was achieved. It seemed that an empathetic design process that is inclusive and empowering leaves everyone with a sense of accomplishment. If we already use empathy in design in order to understand the user and anticipate their behaviors and needs, we can easily translate it into the client relationship. Here, we will explore how empathy-driven design principles are relevant techniques for establishing empathy with a client. But First, What Is Empathy? Empathy has been in the social science lexicon for some time now, but only recently has it been defined as three distinct aspects: cognitive, emotional, and compassionate. Cognitive empathy is understanding what another person is feeling and thinking. For instance, noting that a colleague’s recent client presentation wasn’t well-received, and they are feeling discouraged. Cognitive empathy helps us communicate in ways that will be heard by the other person. Emotional empathy is sharing the feeling that another person feels. For instance, finding common ground and relating to your colleague’s feelings of discouragement because you’ve been in a similar situation and have felt the same thing. Emotional empathy builds a deeper connection between people. Compassionate empathy begins with cognitive and emotional empathy but results in an action. For instance, after understanding and knowing the feeling of discouragement, you share your own stories of failure with your colleague and offer to have a look at the next client presentation plan. Compassionate empathy goes beyond thinking and feeling to actively making a change. Designers who are developing client empathy can learn a few tricks from the UX design process, which always kicks off with research and discovery. Designers begin by investigating the lives of people through research methods like conversational interviews, card sorting, and field studies. Without an empathetic approach to learning about the user, a product runs the risk of not meeting fundamental needs. It’s success relies on how well a design team can develop cognitive empathy. A client-designer relationship relies on the same thing. By understanding what the client is thinking and feeling, a designer can make better decisions about how to communicate and meet expectations. Design research involves talking to and observing the end user in a familiar environment. Unaligned expectations and misunderstandings can cause friction between clients and designers—which can be detrimental when it involves something like the launch of a product. But it’s the often overlooked minor miscommunications in daily interactions that can accumulate into a lukewarm relationship between client and designer. It’s not necessarily good or bad, but it’s certainly a missed opportunity for a rewarding collaboration. Everyone has personal working habits that they’re comfortable with. For example, one person might expect meetings to start on the dot while another thinks it’s acceptable to have a 15-minute buffer. We can learn about things like the client’s work environment or personal working habits by answering the same questions in user research: What are they thinking versus saying? What are the pains and gains of a scenario? What is the cause of this barrier? Unlocking these nuggets of insight can unlock empathy. Familiar design thinking tools can be used to develop client empathy. Uncovering these insights means the designer has to ask questions. The difference between asking questions in user research and in a professional relationship is a heightened openness and mindfulness. Openness in conversation pulls things to the surface so it is clear everyone is on the same page. By simply asking a straightforward question, like, “Do you prefer our updates by phone or email?” nothing is left up to the imagination. On the other hand, mindfulness is about what’s being said between the lines. Imagine a client who always jumps in at every opportunity to contribute ideas. A bit of empathetic communication might reveal that their heavy-handedness comes from the pressure for success they feel from their superiors. The designer could put them at ease by sharing more research to back up the team’s ideas. Alternatively, the client might be tapping into their creativity because they crave the opportunity in their own job. Undoubtedly they’d be delighted if the designer invited them to more creative sessions. Mindfulness can empathetically expose personal goals and deeper motivations. Developing empathy to understand human behavior and people’s motivations is understood well by designers. And if it’s done with the client at the beginning of a project, the team can get in sync—not only with common goals but common perspectives. And that will have a lasting effect on the entire life of the project. Iterative design processes call for prototypes to be made early and often, eliciting feedback on crude designs. 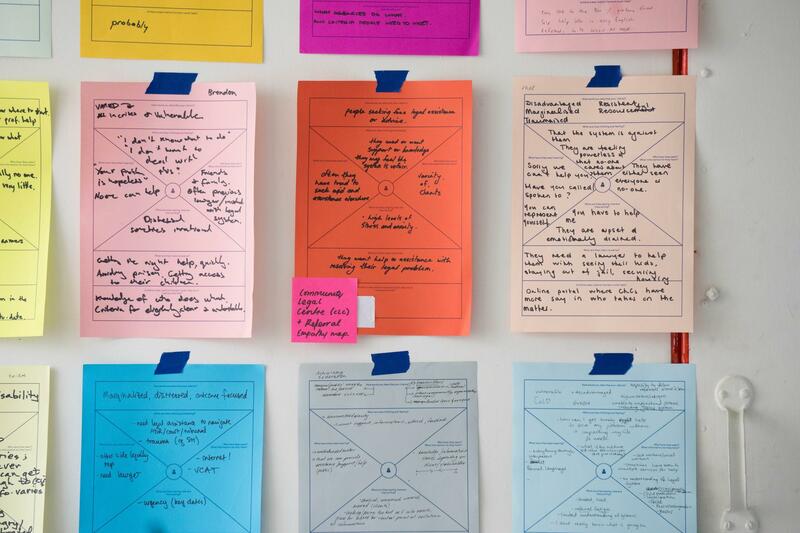 Once designers draw out insights from user research, the stage of ideation and prototyping begins. This is where the process gets messy and intuitive—when creativity has full reign. But it’s the testing-iteration loop that provides clarity and direction for an unfinished idea. It is the designer’s responsibility to share an idea for others to react to. It may not be the best idea or the right answer, but putting something out there is the most productive way to spark conversation and move it forward. The most fruitful sessions begin when someone puts something on the table (literally or figuratively) for others to discuss. And the same is true in the client relationship. The same act of stepping out first is just as effective when it comes to client empathy. If someone comes in with a brilliant idea, be the first to acknowledge it. If something falls through the cracks on your watch, be the first to step up and apologize. This might sound simple on paper, but it means the designer has to put themselves out there fearlessly and be generously transparent. In all honesty, that takes guts, courage, and vulnerability. Brené Brown, renowned expert on the subject, explains that vulnerability is “the birthplace of connection and the path to the feeling of worthiness. 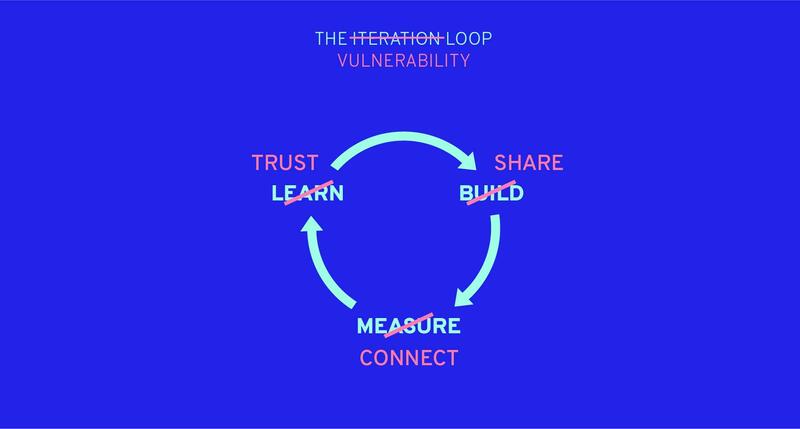 If it doesn’t feel vulnerable, the sharing is probably not constructive.” Vulnerability sparks a shared connection, and that’s when people feel safe—safe to express themselves and to make mistakes. Think of how someone’s honesty has made you feel comfortable and able to be more honest yourself. Emotional empathy calls for recognizing and sharing emotions. It requires someone to take the first step and be vulnerable. But equally, it requires the acceptance of vulnerability in others. And this is the ultimate goal—for empathy to be met with empathy. Long before iterative design became common practice, designers were already comfortable with giving and receiving feedback. We recognize the value of consistently taking a step out of design mode to objectively review the validity of the work. 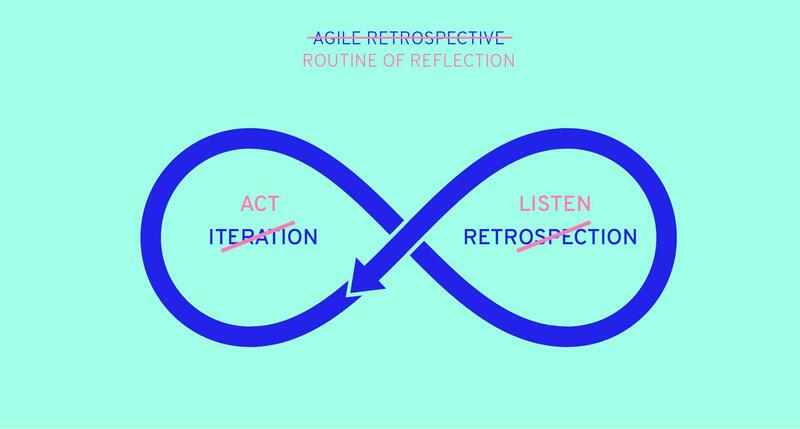 The Agile and Lean UX approach offers a new structure in feedback loops and retrospection. It’s become the preferred way to identify clear actions for improvement. Chances are the client is already included in feedback loops for the actual product—the same platform can be built for sharing feedback on project progress, methods, and interactions. Logistically speaking, this will keep lines of communication open and help avoid major miscommunication. Beyond the practical reasons, feedback loops help establish client empathy. The best time to set up the routine is at the start of the project—it sets the tone for transparency and vulnerability. By simply offering an open invitation to candid conversation, the designer makes it clear they’re open to questions and critique—a truly vulnerable move. The familiar process of retrospection can be used to build client empathy. With feedback loops in place, it’s easy to produce a laundry list of things that went well, wrong, or that need to change. That’s all well and good, but if the client feels their comments are falling on deaf ears, the effort is canceled out. After listening to and understanding a client’s point of view, the designer has to do something about it. Compassionate empathy calls for a person to not only recognize the emotions in someone else but to act on it and try to improve the situation. The design industry has established itself as empathetic and dedicated to the end user—which makes products meaningful and useful. Now that methods and mindsets have been established and essentially codified, it’s time to take that awareness and apply it to other relationships in the working environment. When designers behave with empathy, it nudges others toward being empathetic in return. It’s this loop of empathy that will enhance any client relationship and cause a ripple effect across team behaviors and product development. How does empathy relate to design thinking? The first step in the design thinking process is to empathize with the end user. It includes discovering and understanding the needs of people so the design team can create a product that provides a solution to those needs. Empathetic design helps to anticipate the behaviors and needs of a user. What is empathy in design thinking? Empathy is an essential element of design thinking and is used from the very start of the process. It includes discovering and understanding the needs of people so the design team can create a product that provides a solution to those needs. Empathetic design helps to anticipate the behaviors and needs of a user. How do you show empathy to clients? Showing empathy toward a client can be done in the same way that empathy is shown toward a user. By observing behaviors and motivations, setting up feedback loops and routines for reflection, and leading with vulnerability, a trusting and collaborative relationship can be built with client empathy. Why should you agree on goals with your client? Project goals are important to establish with a client. When everyone works toward the same vision, the project can run smoothly and efficiently. 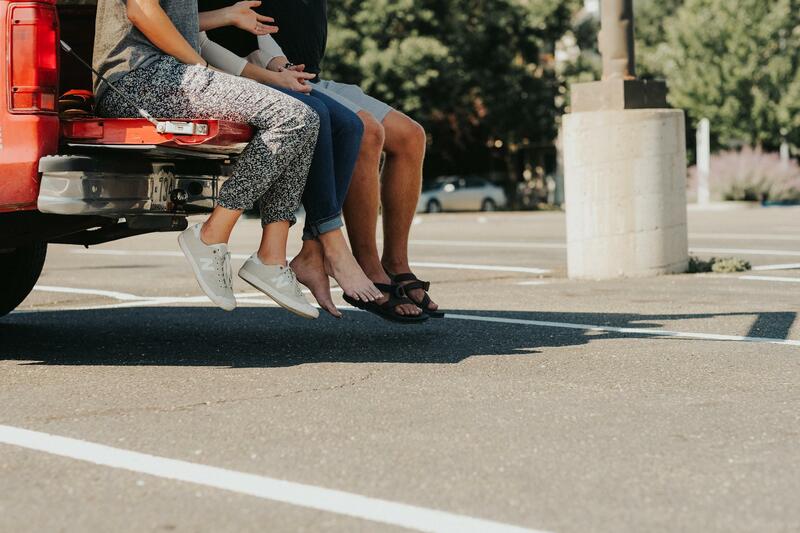 Each team member may come with their own personal goals, such as professional development or recognition, so developing empathy is key in uncovering these. Which methods of communication will help you to motivate your client? The best way to communicate with a client is with empathy. To help motivate them, it’s important to understand their motivations. These can be uncovered through ethnographic research methods often used in the design process. Asking questions, observing body language, and developing empathy. Jay is a user experience and product design veteran. For the past 12 years, he's worked on web and mobile applications spanning healthcare, social media, entertainment, and the environment for venture-backed startups and Fortune 500 companies. With an extensive background in Agile UX and information architecture, Jay's work has been featured in books and publications across the web.